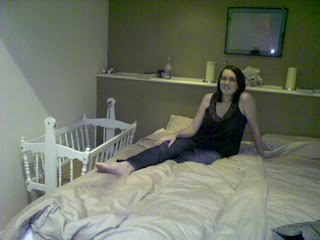 Rachelle's mum has very kindly lent us the crib that Rachelle and all her siblings used. We put it together yesterday to see if it would fit - and it does so very nicely. Now just need to give it a lick of paint and buy a new mattress for it. I am digging this!